Your treasured possessions while stationary are safe but what about when they are moved? Quality Furniture Movers Interstate Removal take this question seriously and aim to ensure the safe moving of all your items. This is something you need to think about when moving out to your new home. 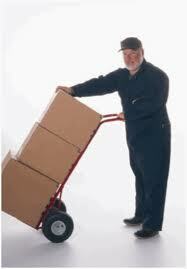 Moving your furniture from one place to another is a difficulty job and should be handled by professional movers. It’s a tiresome and dangerous job to do. This is where a need for an expert and qualified furniture movers comes to reality. Make a physical count of all the furniture that needs to be transported. Having already a mental count of the number of items you need the furniture movers to move will make it easier for you to ask for a quote of the price for your particular need. You can now already contact their services and ask for their different moving packages. Make a good deal of bargain for all your shipping expenses. Read the contract the furniture movers firm will provide you. Be sure there is insurance coverage and your specific requirements are stated on the contract. Take note that all the incurring charges and other service fees are also included. Verify the furniture movers firm of your choice if they have enough trolleys, trucks or vans and qualified movers to do the actual task. Before the actual moving out of your furniture, inspect each item and take note of all scratches of damages they have at the moment. Better take a picture of your furniture in order to have a proof later on of what the actual conditions of each of your furniture in the event some damages have incurred during their transport or handling. Hope these tips will make you wiser in selecting the most reliable and well-experienced furniture movers company. Don’t be in a hurry of just hiring anybody who claims they are good in moving out furniture. Ask around through friends previous moving out experiences or check out online testimonials. By doing this, you are eliminating the chances of falling to the wrong furniture movers firm. Be more vigilant when it comes to your furniture concerns. You don’t want to invest on another set of furniture as you move out. Carry on and take charge to all your moving plans. Hire the best furniture movers company.